Vodafone UK are not taking pre-orders for the much awaited Nokia Lumia 925. Pretty much the best looking Windows Phone out there, this one is designed to impress. Not only that, but Vodafone are offering the exclusive 32GB version in black. The phone is free on the Vodafone Red L price plan from £34 a month, which offers unlimited minutes, texts and 2GB of data. Vodafone also offers Data Test Drive, which means you can use the phone for the first three months with as much data as you want, and hence know what you would generally use. This is a great feature to test out this 4G phone. The phone can be bought from Vodafone at the Vodafone online shop. Now available for pre-order, the Nokia Lumia 925 with Windows Phone is free on the Vodafone Red L price plan, bringing you unlimited minutes, unlimited texts and 2GB of data for just £34 per month. Vodafone are also exclusively offering the 32GB version in black. For Pay monthly customers, the Nokia Lumia 925 with is available on Vodafone’s Data Test Drive, which enables you to use as much data as you like, for whatever you like, for three months so you can fully explore what your brand new Nokia Lumia 925 has to offer. At the end of the three month period we’ll let you know exactly how much data you’ve used and whether the price plan you’ve chosen suits your needs. The Nokia Lumia 925 adds to Vodafone’s range of ‘4G-ready’ phones. Getting one of our 4G-ready phones means a customer will be good to go as soon as Vodafone 4G arrives, bringing them ultra-fast internet and the best mobile video they’ve ever had from us. Once a customer has got their new phone, we’ll let them know the moment Vodafone 4G is available in their area, and we can then talk about adding Vodafone 4G to their monthly plan. For more information visit vodafone.co.uk/4G-ready. 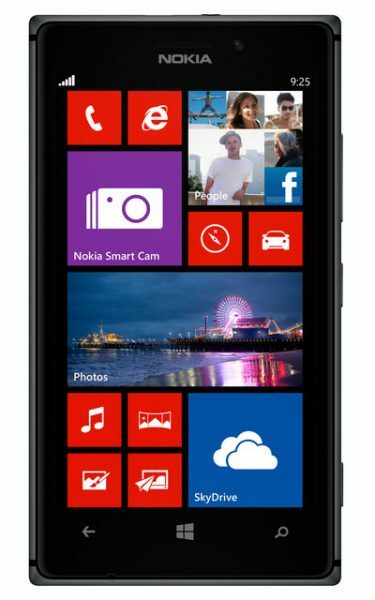 For further details on the Nokia Lumia 925, please visit the Vodafone online shop.